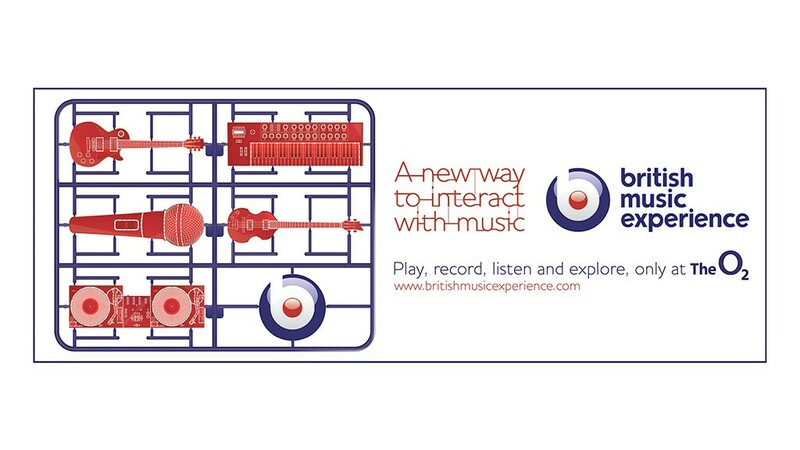 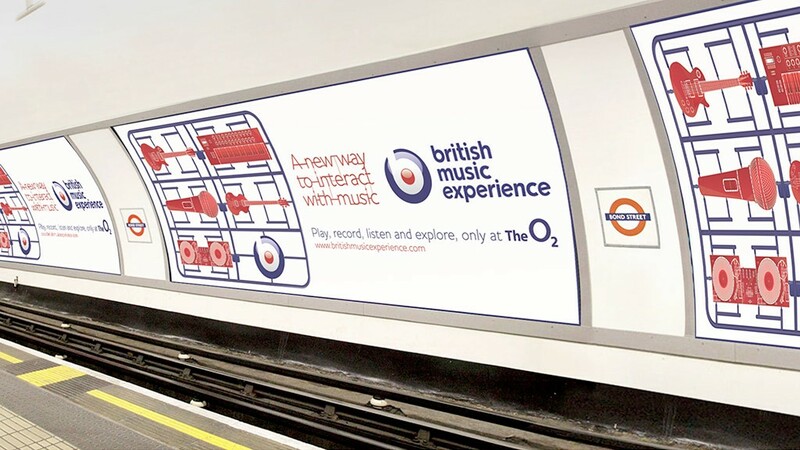 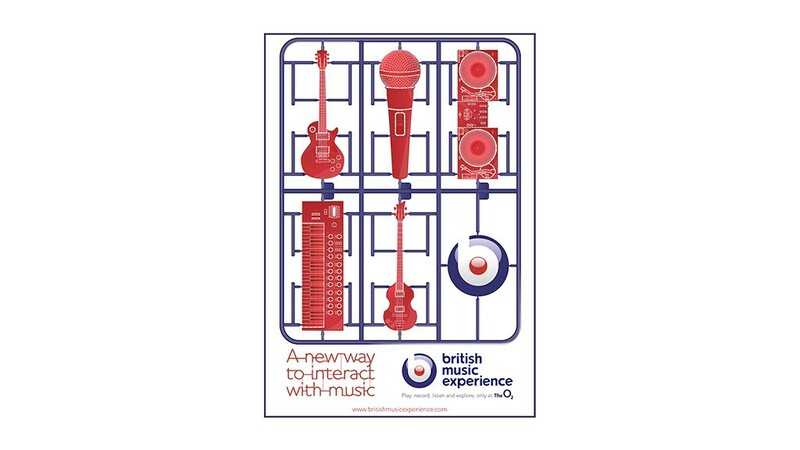 For this university project I was tasked with designing promotional materials for the British Music Experience in London; an exhibition of music memorabilia complete with fully-interactive workshops and performance / recording facilities. 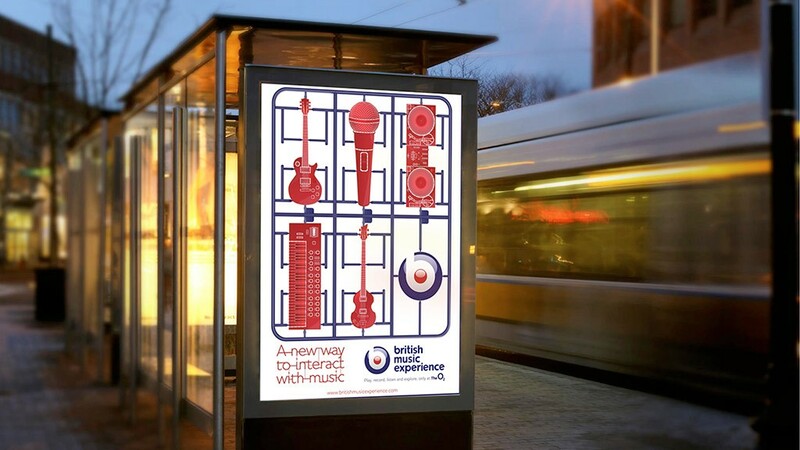 In this ‘Airfix’ design I chose to highlight the core appeal of the British Music Experience – the ability to craft your own musical experience. 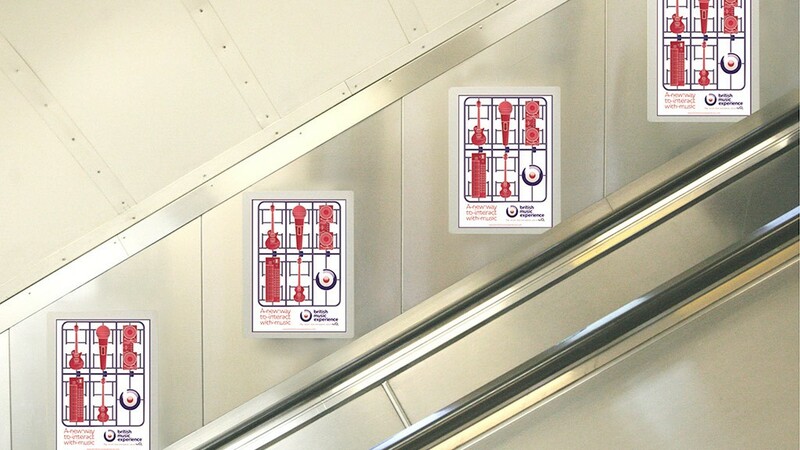 This advertising was created to function as standard 4 / 6 sheet advertising for high tourist foot-fall areas but also as full page adverts in music and tourist-targeted magazines. 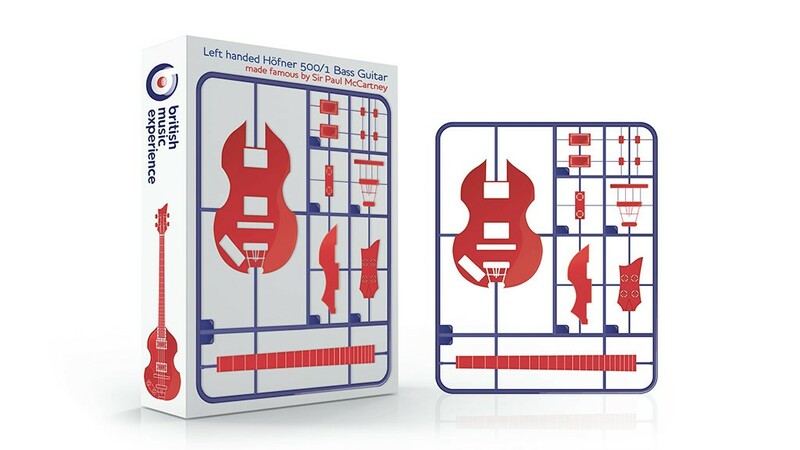 I also adapted the design to a billboard shape for both print and website banner purposes. 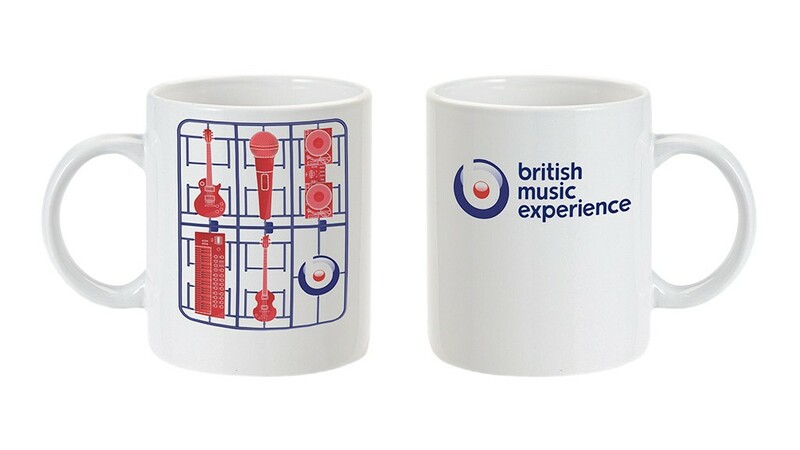 To tie in with my promotional campaign I designed Airfix kits, alongside other assorted merchandise such as mugs and high quality, reusable shopping bags to be issued with every sale of merchandise. 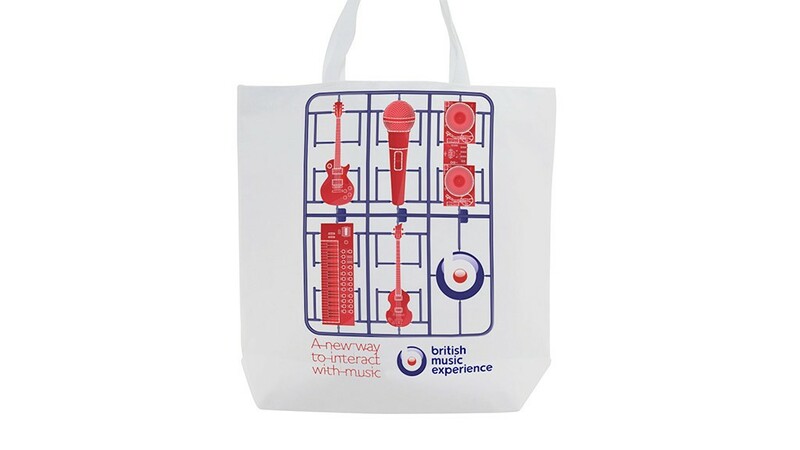 This Airfix kit is of the ‘Violin’ bass guitar made famous by Sir Paul McCartney; other kits featured instruments synonymous with Noel Gallagher, Eric Clapton, Brian May and John Bonham.